We love the perfect combination of copper and faux croc as you take home a runaway win in the Runaway barrel! The high 5″ cantle and deep seat provide better grip around barrels. Choose from these faux croc seat colors in a bicycle style seat: mint chocolate chip (shown above), chocolate, or burnt orange. Antique copper flower conchos are accented with copper spots around the rosettes for a classy look. Roughout seat jockeys and fenders and rubber stirrup treads help keep you in position in the turns. The adjustable position in-skirt rigging allows you to customize the rigging position for the best fit for your horse. They use Ralide® trees because they ensure strength and durability. Formed in one solid piece of polyethylene using an injection mold process, it produces a unitized body and consistent, uniform shape. The result are saddle trees that provide longevity and are strong. All Ralide® trees are made in the USA. 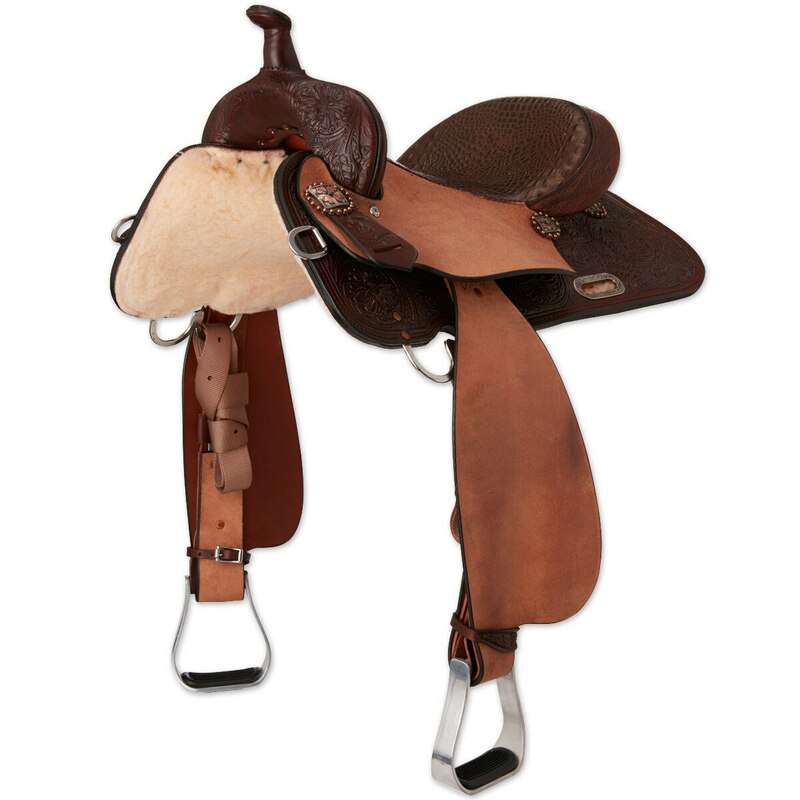 High Horse saddles carry a 10-year tree warranty and one-year workmanship warranty. Have peace of mind while you ride a quality saddle at the right price. Get in the saddle today!